SHINY AND NEW . . . Some weeks are busier than others when it comes to new restaurant openings and announcements of things to come. 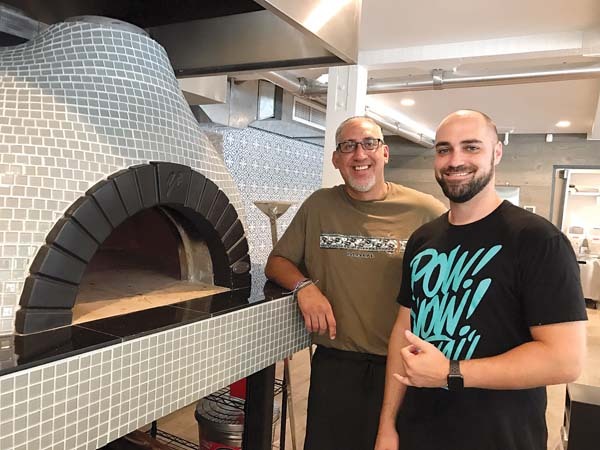 Today, the Surfside Wood Fire Pizza Kitchen is planning a soft opening in the 505 Front Street building in Lahaina in the old Gabby’s location across from Whaler’s General Store. Kiawe-wood-flamed pizzas include the Local Boy topped with creamy garlic white sauce, Portuguese sausage, Spam, kalua pork, green onions, cracked egg, mozzarella cheese and chili-pepper oil. Salads include the Beach Bunny with soba noodles and veggies in a pineapple-and-soy vinaigrette. Sandwiches like the Overboard will let you sink your teeth into roasted red pepper pesto, ham, roasted turkey, cheese and pepperoncinis. “We are now working on our beer and wine license,” says Alices. “Our housemade desserts are cannoli, tiramisu and no-bake pie. Just simple stuff.” To order or for more details, call Surfside at 793-2650. A little birdie told me about Sushi Master Tadashi Yoshino. 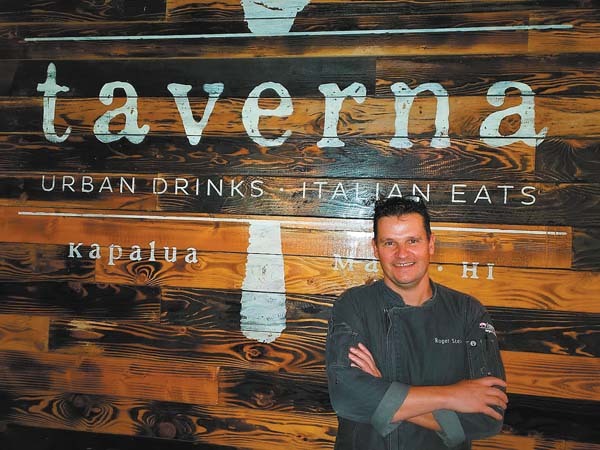 He was formerly at The Ritz-Carlton, Kapalua until the resort redid his sushi bar into Kai Cafe. 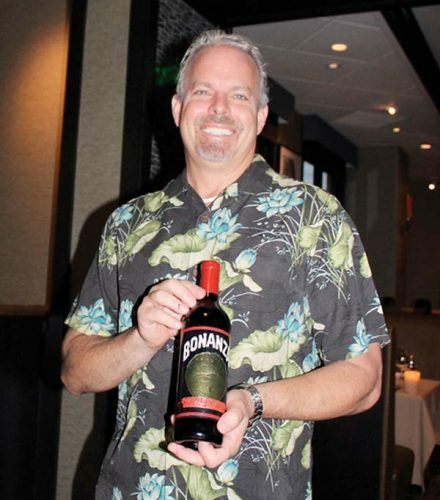 He will be on a roll with a new a sushi concept at Grand Wailea’s Botero Bar in late July, and it’s sure to be over the top. 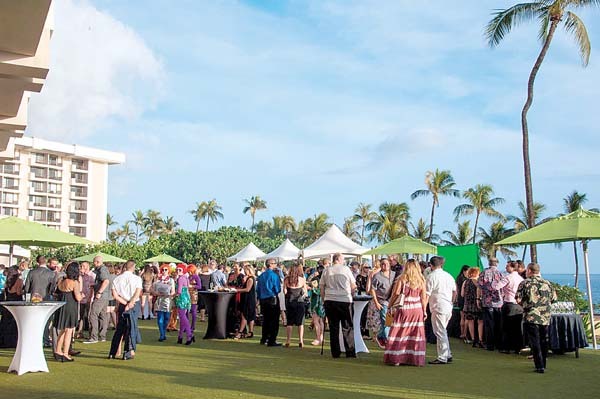 During the upcoming Kapalua Wine & Food Festival June 7 to 10 (see Dining Out story), “the Ritz-Carlton, Kapalua offers first looks of its updated F&B outlets to be revealed in the second phase of its recent multi-million-dollar renovation this fall,” says Meesha Merat, account coordinator. Word has it that The Terrace restaurant will be rebranded. The newest Sip Me opened May 19 on Puunene Avenue across from First Hawaiian Bank in Kahului after 29 months of waiting. 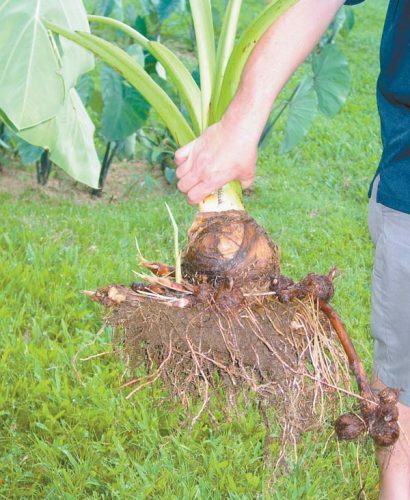 It’s Sip Me’s fourth organic coffee store on the island. In Kahului, the former realty office and before that bank boasts a vault. “We will offer the vault as a conference room and we feature Joseph Fletcher paintings in there,” says Wentworth, whose general manager is Josh Torres. 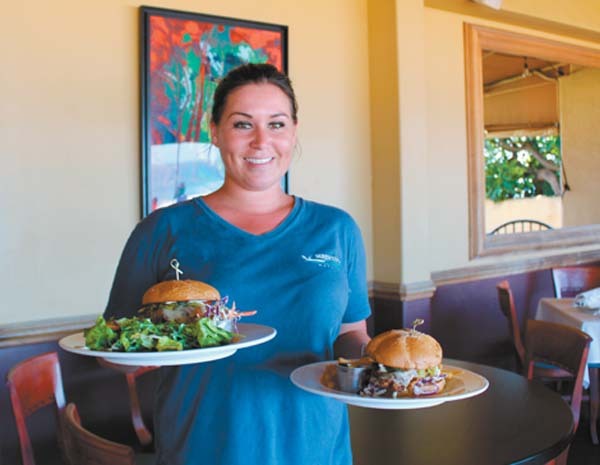 The Sheraton Maui Resort & Spa in Kaanapali will turn the Black Rock Kitchen into the new rocksalt soon. Executive Chef Lyndon Honda did a stellar tasting with char-siu duck rillettes, Guamanian titiyas and more that pleased all present. 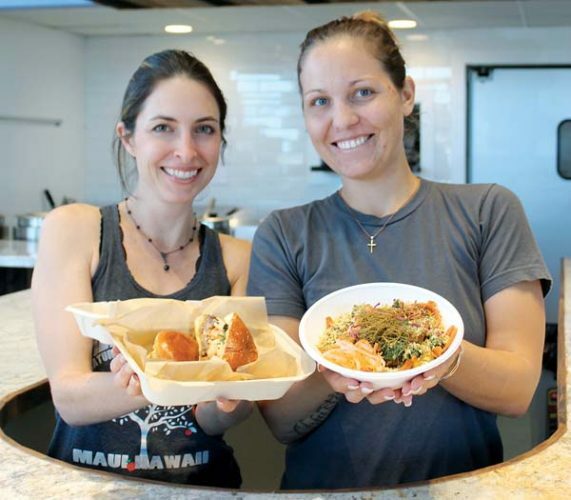 Last but not least, Fork & Salad will open its second outlet on Maui in Puunune Shopping Center (near Target in Kahului) on Friday. Stay tuned.